E. Dale Abel, chair and DEO of the Department of Internal Medicine in the University of Iowa Roy J. and Lucille A. Carver College of Medicine, will deliver the University of Iowa’s 35th annual Presidential Lecture on Feb. 18, 2018. Abel is director of the Fraternal Order of Eagles Diabetes Research Center, director of the Division of Endocrinology and Metabolism in the Department of Internal Medicine at the University of Iowa, and head of the Interdisciplinary Diabetes Clinic at Iowa River Landing/University of Iowa Hospitals and Clinics. He is a professor of medicine and biochemistry and currently holds the John B. Stokes III Chair in Diabetes Research. Abel is internationally recognized for his research on the molecular mechanisms responsible for cardiac dysfunction in obesity, type 2 diabetes, and type 1 diabetes, as well as for studying the role of mitochondrial dysfunction in the development of insulin resistance, obesity, and complications arising from said dysfunction. Abel’s research is funded by the National Institutes of Health and other agencies, and his work has been supported by the American Diabetes Association, the Juvenile Diabetes Research Foundation, and the American Heart Association. Abel received a medical degree from the University of the West Indies in Kingston, Jamaica. He was a Rhodes Scholar and clinical research fellow with John G. Ledingham at the University of Oxford, England, where he also earned a doctorate in physiology. Abel completed an internship and residency in medicine at McGraw Medical Center, Northwestern University Medical School, and served as chief resident of internal medicine at the VA Lakeside Medical Center there. He was a clinical and research fellow and instructor at Harvard Medical School before moving to the University of Utah in 2000. He joined the University of Iowa faculty in 2013. 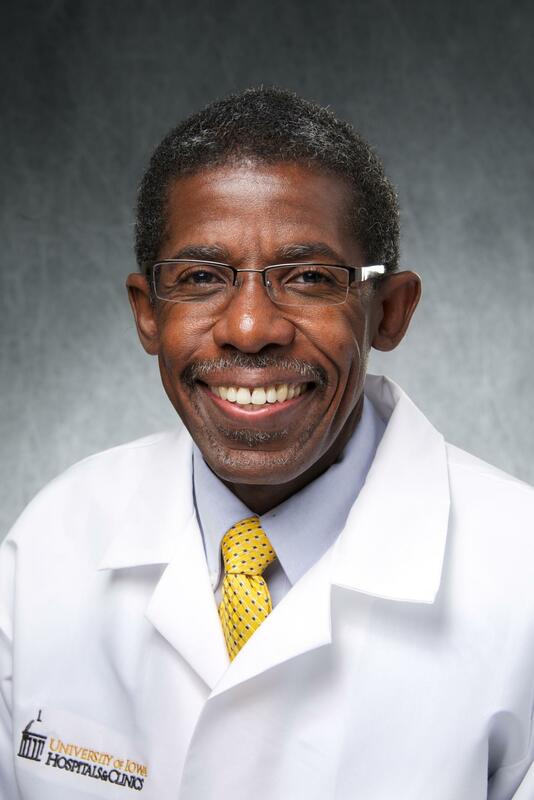 In the course of his career, Abel has received numerous national honors and awards, including an election to the National Academy of Medicine in 2015, and has been a lecturer and visiting professor both in the U.S. and internationally. He is the primary author, co-author, or editor of more than 140 scientific publications. The Presidential Lecture series provides an opportunity for distinguished members of the faculty to present significant aspects of their work to the greater UI community and to the general public. The university has established this annual series to encourage intellectual communication among the many disciplines that constitute the University of Iowa, as well as to provide a public forum for scholarship, research, and creative achievement. The series is made possible by the generosity of donors of unrestricted gifts to the University of Iowa Foundation.